The Center for Technology Licensing (CTL) is Cornell University's technology transfer office. We manage technology for Cornell's Ithaca campus, Weill Cornell Medical Colleges, Cornell Tech and the New York State Agricultural Experiment Station in Geneva. The businesses listed below were founded on licensed Cornell technologies to help create jobs and economic vitality in New York State and beyond. View a list of Cornell startups acquired by other companies. 3D Bio Therapeutics is a bioprinting platform company focused on whole tissue living implants for near term indications, which fully integrate into body and become nearly indistinguishable from native tissue. ABLS IV, LLC, a subsidiary of Allied-Bristol Life Sciences, LLC (ABLS), is conducting feasibility studies on a class of inhibitors of immunoproteasome for treatment of autoimmune diseases, including lupus and rheumatoid arthritis. The novel and highly selective class of inhibitors under development is targeted at a specific sub-unit of the immunoproteasome playing a critical role in inflammation and autoimmune diseases with the potential to develop safer treatments with better efficacy. Acuamark Diagnostics is developing novel diagnostic tests to enable low-cost and accurate early detection of colorectal cancer directly from the blood, by isolating and identifying multiple cancer markers. Thus, allowing for improved sensitivity, specificity, and scalability. Agricultural Modeling and Training Systems, LLC, produces software that makes dairy and meat production more efficient and reduces potential negative environmental impacts. Alcyone Lifesciencs, Inc., develops products that enable treatment modes for difficult neuropathological conditions. Angiocrine Bioscience, Inc., is developing both research and therapeutic products using stem and endothelial cell related technologies. ArcScan, Inc., is developing Artemis 3, a high-resolution ultrasound scanner that enables eye surgeons to design phakic and accommodative lenses to reduce the risk of bad outcomes in corneal surgeries and lens implants. Axium Nano is focused on the next generation of lithium-ion batteries. By incorporating a novel electrospray process to create a scalable film and adding a 2-D sheet of conductive graphene, Axium is advancing the use of silicon-based materials for efficient energy storage in batteries. b2d2 is committed to a vision of objective and standardized testing for patients who suffer from post-concussive symptoms, as well as potential solutions for the road to recovery. Bionic Sight develops neuro-prosthetics—prosthetic devices to treat blindness due to retinal degenerative disease that interact with the nervous system in order to restore function to damaged or degenerated tissue in the eye. The company is developing a technique involving gene therapy and a wearable device that correctly transmits light pulses to the brain, giving the wearer sight. 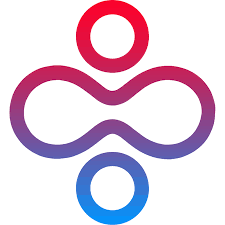 bloXroute is a blockchain scalability solution that allows all cryptocurrencies and blockchains to scale to thousands of transactions per second (TPS) on-chain, without any protocol changes. bloXroute solves the scalability bottleneck by addressing the substantial time required for all nodes to synchronize when handling large volumes of TPS. Most importantly, bloXroute does this in a provably neutral way. BZL Biologics, Inc., is a clinical stage company working to commercialize antibody-based therapeutics and imaging agents for prostate cancer. CEP Biotech, Inc., is commercializing early diagnostics for various dermatological and clinical conditions. Computational Textiles, Inc is a small employee-owned company founded to create textile visualization and manufacturing software. The company’s first product, Weft, is a web application and manufacturing process that enables anyone to transform design ideas into intricately patterned woven cloth. Conamix is commercializing high performance battery materials based on proprietary Cornell technology. 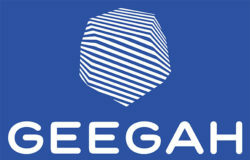 The company’s unique battery materials allow higher energy density in existing lithium ion architectures and are manufactured using low cost and highly commercial methods. CycloPure is engaged in the design, development and commercialization of a new class of highly-adsorbent materials for use in the separation and removal of pollutants, VOCs and other organic compounds from water and air. Through effective utilization of light energy, Dimensional Energy’s HI-Light Reactor makes it possible to lower the pressures and temperatures necessary for energy-intensive chemical reactions to occur. This makes it possible to convert molecules such as carbon dioxide into feedstocks for downstream chemical and fuel processes. Dimensional Energy’s creative business model and artificial photosynthesis process aim to actively address the problem of climate change by providing profitable pathways to utilize renewable energy in carbon-intensive industries. Dryfiber, LLC is a subsidiary of DryWired that is developing stain resistant coatings for surfaces and textiles using fluorine-free polymer chemistry. The coating process disburses a thin polymeric coating on a surface, imparting a microscopically rough texture that can resist staining from vegetable, olive, and other oils. When applied textiles, there is no noticeable impact on the feel or softness of the fabric. Ecolectro develops structurally robust and highly conductive polymer membranes for a range of applications, including electrolysis and fuel cell systems that not only improve performance but also dramatically decrease costs. Elucida Oncology, Inc. is developing technology for the treatment and diagnostic imaging of oncological diseases. 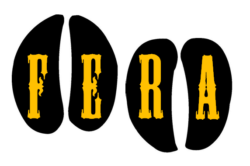 Embark is a veterinary science-focused company specializing in canine genetics. Through the use of cutting-edge genetic testing and analysis, Embark offers 21st century pet wellness advice coupled with comprehensive ancestry, morphological trait, and genetic disease information for dog owners. Endovor is developing a temporary lower esophageal sphincter valved diagnostic stent to treat gastroesophageal reflux disease (GERD). Farther Farms is a food processing technology company that has developed a new method to preserve fresh-cut fruits and vegetables for months at room temperature, without preservatives or chemicals. Fera Animal Health is a veterinary company producing the AccumastÂ® diagnostic kit. The culture based system allows dairy farmers to quickly identify the six most prevalent causes of bacterial mastitis to determine appropriate treatment methods. Fesarius Therapeutics is developing engineered tissue scaffold products for the skin and dermal layers. The products are based off the patent-pending microstructure-containing gel scaffold technology developed at Cornell. The acellular skin replacement will aim to benefit those with wounds resulting from burns, plastic surgery, tumor removal, and other forms of trauma. Fitzroy Salute, LLC offers an affordable and comprehensive environmental health and safety information management solution to streamline and improve EHS operations. The cloud-based IMS provides environmental health and safety staff with integrated modules for hazard assessment, safety and compliance, metric tracking, and more. Fitzroy Salute, LLC provides academic and healthcare institutions the tools they need to foster a true culture of safety, rather than just compliance. FloraPulse has developed real-time sensors to measure how thirsty a plant is. By knowing how much to irrigate, growers can increase crop yield and product quality, while reducing water use. Gene Network Sciences, Inc., uses massively parallel supercomputers to probe human biological data to find biological causes of human disease and new opportunities for diagnosis and treatment. GenVec, Inc., is a biopharmaceutical company developing therapeutic drugs for cancer and vaccines for infectious diseases including HIV, malaria, foot-and-mouth disease, respiratory syncytial virus (RSV), HSV-2, and influenza. Glycobia, Inc., is committed to developing human therapeutics by linking the simplicity of bacteria with the sweetness of glycosylation. HµREL Corporation develops bioanalytic devices that are used in pharmaceutical development and industrial and consumer product safety testing. 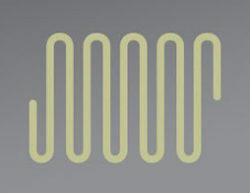 A HµREL® is a microfluidic circuit that models real-time protein binding, metabolism, and extraction in the liver. Hemogenyx Therapeutics is a biopharmaceutical company developing a new treatment for blood diseases, such as leukemia, lymphoma and bone marrow (â€œBMâ€) failure. The Company leverages a special class of cells that can generate cancer-free, patient-matched blood stem cells. 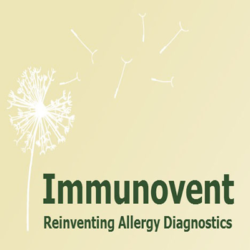 Immunovent, LLC is focused on the commercialization of next-generation technologies for allergy diagnosis. The company is developing the Local Allergy Mucosal Brush Test (LAMB-Dx), the first quantitative allergy diagnostic that will enable physicians to accurately test for both airborne and food allergies precisely where the clinical symptoms are occurring – in the mouth and nose. Kphotonics LLC, develops experimental kits for educational purposes in the area of ultrafast laser physics and applications. Lucerna, Inc., is a biotechnology research company focused on developing and commercializing nucleic-acid based fluorescent sensors for Point-of-Care therapeutic diagnostics and environmental biomonitoring. Lucerna also offers newly developed antibodies for proteomic research. Lumendi Ltd., is focused on the development of new minimal invasive surgical tools and devices that will provide solutions for minimally invasive gastrointestinal surgeries. The company’s first product is an add-on to any commercially available endoscope that will avoid invasive colon resections to treat more complex gastrointestinal diseases. Lumidyne develops next-generation fluorescent probes exhibiting superior brightness and stability compared with current commercially available reagents. MedimageMetric, LLC, is developing and commercializing software for measuring organs and tissues from medical images for the Chinese market. Metabolon, Inc., offers biochemical profiling services (metabolomics) for use in research on complex biological processes as impacted by disease, drugs, diet, and the environment. Metastat, Inc. (managed by Albert Einstein College of Medicine), is a life science company focused on developing and commercializing proprietary clinical diagnostic tests that predict the probability of blood borne systemic metastasis of cancer, as well as, companion therapeutics to prevent systemic metastasis. Metro Mid-Atlantic Biotech is a development stage startup focused on developing novel small molecule therapeutics based on discoveries in the molecular mechanisms of aging and longevity in mammalian cells. MiTeGen, LLC, designs and manufactures products for X-ray diffraction and crystallography of proteins and small molecule/inorganic compounds, and for manipulation and measurement of small samples in cell biology, histology, clinical diagnostics, entomology, archaeology, and geology. NeuroMedica is developing a revolutionary endovascular flow diverter and coil-containment device for the minimally invasive treatment of bifurcation aneurysms. Nirenberg Neuroscience develops non-prosthetic applications of virtual retina technology. NOHMs Technologies, Inc., is a battery materials manufacturer (anode, cathode, and electrolyte) with a vision to improve and commercialize promising new nanoscale chemistry for better battery technology. Novita Pharmaceuticals, Inc. is a biopharmaceutical startup developing target-specific small molecule drugs to treat cancer metastasis. The company is currently focusing on patients with metastatic breast cancer. Novomer, Inc., is a sustainable chemistry company pioneering a family of high-performance, environmentally responsible polymers and chemical intermediates. NYAG (New York Apple Growers), LLC, was formed around an exclusive license agreement for two new apple varieties, ‘New York 1’ and ‘New York 2’. This member owned company is open to all New York growers to help promote agricultural market growth within New York state. Orthogonal, Inc., is developing environmentally safe, high-performance fluorinated photoresists to make “organic,” or carbon-based electronics on the same machinery manufacturers use to make silicon-based electronics. Pacific Biosciences of California, Inc., is developing Single Molecule Real Time (SMRT™), a technology platform to detect biological events at single molecule resolution. Its first commercial application will be fast, low-cost DNA sequencing; future planned applications for the SMRT™ platform include RNA sequencing and analysis of protein synthesis. PicoLuz, LLC, focuses on developing light sources and optical measurement systems based on nonlinear nano-photonic devices. Prendismo, LLC, is home to the world’s premiere collection of digital video content on business, leadership, and entrepreneurship. Prendismo arose from the eClips project at Cornell University and the Cornell Center for Technology Enterprise (CCTEC). Quentis Therapeutics is an immuno-oncology company focused on developing small molecule therapeutics to relieve tumor-mediated suppression of dendritic cell and T-cell activity in solid tumors. ReconnectNEURO is focused on the treatment of cognitive impairment through the use of deep brain stimulation methods. The stimulation systems work to increase consciousness in patients who are minimally conscious or who have reduced capacity due to trauma, stroke, or other diseases. Repairogen is developing new compounds that reduce UV-induced skin damage, reduce skin aging and reduce the development of skin cancer. SafetyStratus, Inc., is a cloud computing company that distributes software on a subscription basis to research institutions. The company’s application, LabcliQ, is used for workflow and laboratory inspections. Stealth BioTherapeutics, Inc., is a clinical stage, biopharmaceutical company developing novel mitochondrial targeted therapies for diseases with clear unmet medical needs including cardiovascular, renal and metabolic diseases. The company’s first clinical candidate, Bendaviaâ„¢, targets the mitochondria to treat cardio-renal and microvascular impairments. TeraPore Technologies, Inc. develops membrane technologies for high-permeability, high-resolution separations including purification of biological fluids. Tetragenetics, Inc. (managed by University of Georgia Research Foundation, Inc.), is an early stage biotechnology company developing an alternative technology platform for the production of genetically engineered proteins for the treatment and prevention of human and animal disease. The Mode Group operates the world’s highest-performing cloud private network. Mode Core offers MPLS reliability and QoS in a cloud service with a business-internet price point. Formerly known as Waltz Networks, Inc.
Ukko Agro is building a smart agriculture ecosystem that uses prescriptive disease/pest management models and integrates with external on-farm machinery and equipment via IoT to help farmers optimize crop inputs to achieve higher yields. Ukko Agro ecosystem aims to offer a solution to critical questions about improving yields sustainably and cost-effectively for farmers, meeting sustainability standards for CPGs and in the end benefit consumers. 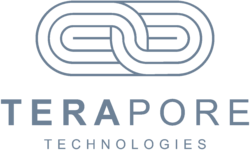 Versatope Therapeutics is using exosomes (extracellular vesicles) derived from genetically engineered probiotics as a technology platform for the targeted delivery of large molecules used in vaccines, therapeutics and diagnostics. Vet-Aire, Inc., develops and sells “The Cornell™ Collar”, a throat support device for horses that treats soft palate displacement without surgery. VitaMe Technologies (DBA VitaScan™) has developed a smartphone based diagnostic platform enabling accurate, fast, convenient, and low cost testing of vitamins and micronutrients in the home and at local pharmacies and clinics. Widetronix, Inc., designs and builds small, long-life ultra low power sensor platforms for defense and medical applications. WOTN is a risk software company that provides an independent, real-time, simulation-based risk management platform for the $1T commercial mortgage backed securities market. The patent pending technology provides risk measurements on demand for loans and bonds in the derivative structure compliant with Basel in a comprehensive portfolio management system. Xallent is developing the next generation of Scanning Probe Microscopes (SPM) to enable advanced, rapid, in-line testing of semiconductor devices and thin-films at the micro- and nano-scales. Patented technologies are based on integrating one or multiple tips with supporting sensing, actuation and electronics on a single probe chip. These “probe platforms-on-a-chip” are designed and fabricated using advanced nanoelectromechanical system (NEMS) technologies, enabling simple and cost-effective miniaturization to the nanoscale. XyloCor is a clinical-stage biotechnology company dedicated to developing first-in-class gene therapies for patients with cardiovascular disease. The company’s lead product comprises the use of vascular endothelial growth factor for the treatment of diffuse coronary artery disease. ZYMtronix is a biotechnology startup that services enzyme and pharmaceutical manufacturers. ZYMtronix immobilizes and optimizes biocatalysts for continuous manufacturing using green chemistry principles to lower the costs and increase the yields of drug manufacturing.